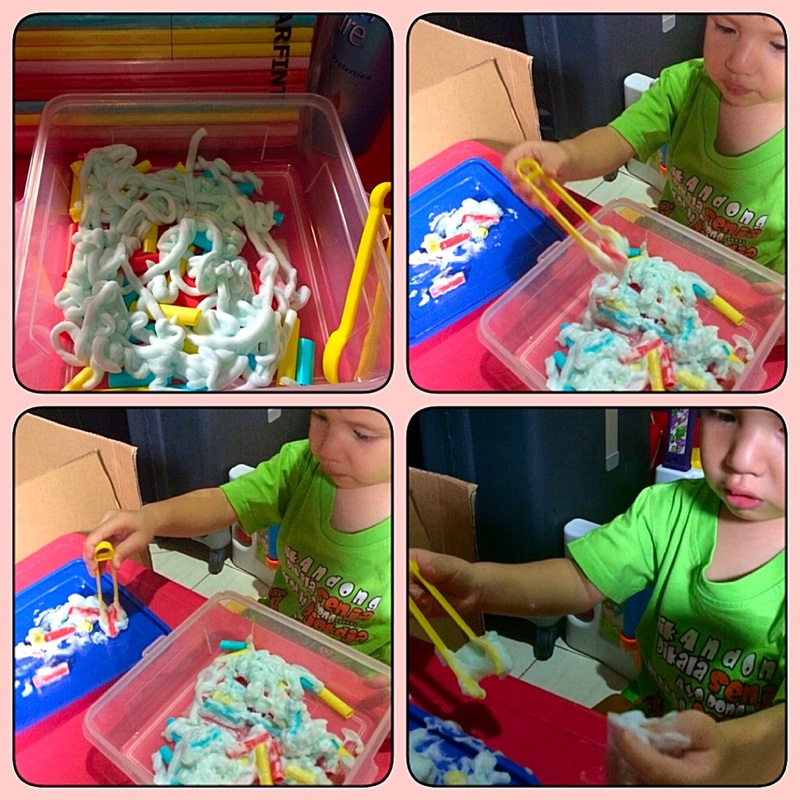 This activity is not only fun to do but you can also help your kids to improve their fine motor skills and to prepare those little hands get ready for writing. when operating their tongs so they can exercise the right muscles for learning to use scissors, crayons, and pencils. Be sure to encourage them to use their “pincher fingers”. In addition to be more challenging to spot, the straws were stuck in the shaving cream and required more work to get out. My kid really worked the small muscles in his hand trying to free the straws from the shaving cream. Recommended for children age 24 months and over. Cut the straws and place in a container. Add shaving cream to the container and push the straws into it. Ask your kids to pick the straws using the tongs.